Newest family member… | Help! I live with my Italian mother in law! He was a gift to my sister-in-law last weekend. I almost forgot about him until I was going through my photos. He was apparently quite irritated after a few days until she got him some hens! I thought I would call him Charlie because now he has some angels to keep him company. I wonder what time he wakes up??? 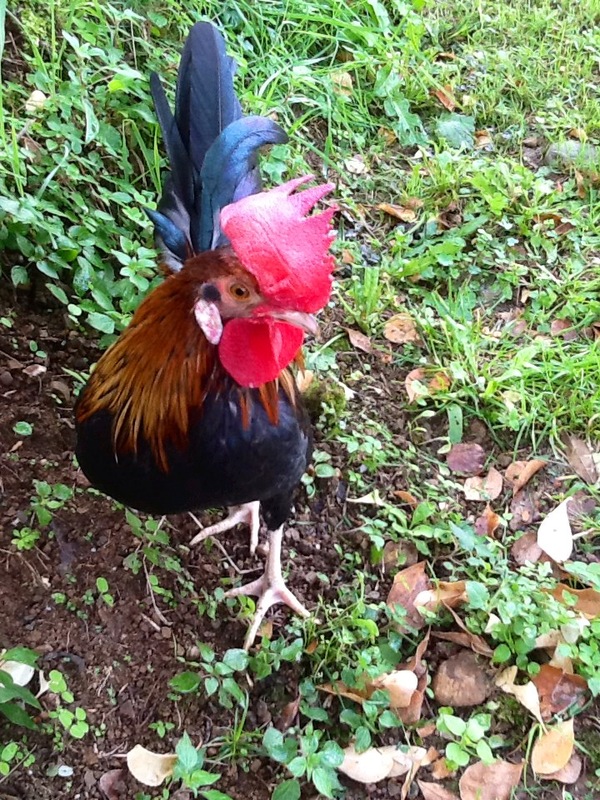 This entry was posted in Nature, travel and tagged Portofino, rooster. Bookmark the permalink. Do you have some wild critters nearby? Is Charlie safe? Looks gorgeous! We’re fenced in now and so he should be ok I hope! His feathers are beautiful too!